Outside caterers of all shapes and sizes need to be aware of their businesses and keep abreast of supply and demand in order to survive. There are many events that require food for the members of public that are attending it’s just a matter of finding them. These shows are often organised by the local council so permission and possibly a licence would be required in order to have a stand at the show. Food aimed at children or a possibly older person that isn’t deep-fried or simply stodgy would be appealing and different. There is also the opportunity to meet leaders of other organisations such as local churches, the round table or rotary club, Scouting groups and schools that would be interested in your services for their own events. Always have business cards to hand and be prepared to talk business. Join local networking groups for businesses and get to know other business owners. Many will at some time organise events, large and small. If they know you, you may obtain the catering contract for the event. Check out local newspapers for music concerts and other outside events. By approaching the event organiser you may secure a pitch if you can convince hem that your catering business can offer something unusual and interesting. Most weekend throughout the year there are dog shows taking place. Forget the large championship shows as contract caterers usually cover them but smaller event still have hundreds of hungry people visiting. Usually the committee behind the dog or pet club will be in the kitchen and this is not always a favoured duty. By offering a service where they take a share of the profit the organisation will be interested in what you have to offer. Many halls and venues are rented out for exhibitions and competitions. Their websites will show diaries of future events. Contact the organisers of the events and offer your services for their event. Firework displays are no longer just for November 5th. Summer displays, special anniversaries and other cultural gatherings now use fireworks as a spectacular display. Where people gather food and drink is required and your business could be one of those proving sustenance for hungry and thirsty crowds. Sporting events are another regular occurrence where food is required. Enquire about contracts to be the one caterer for the event. The choice of where to supply your food is limitless. 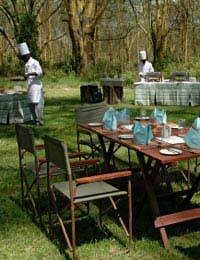 It may be that you are competing with other outside caterers for a pitch at the vent. Try to make your menu different in order to stand out. Visit events to see what is usually on offer and extend your menu to offer something completely different. Like any other event your catering stand will have to conform to all health and safety regulations. Your catering staff must hold the basic hygiene certificates and your business must have public liability insurance. Failure to comply with these simple requirements will result in fines for you and your business.